Here's inspiration for your next vacation! 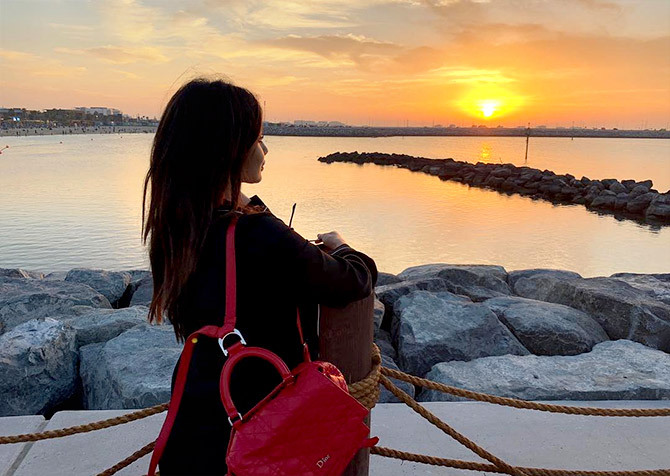 Television star Mouni Roy, who made her Bollywood debut with the Akshay Kumar starrer Gold, jetted off to Dubai to ring in New Year with her friends. 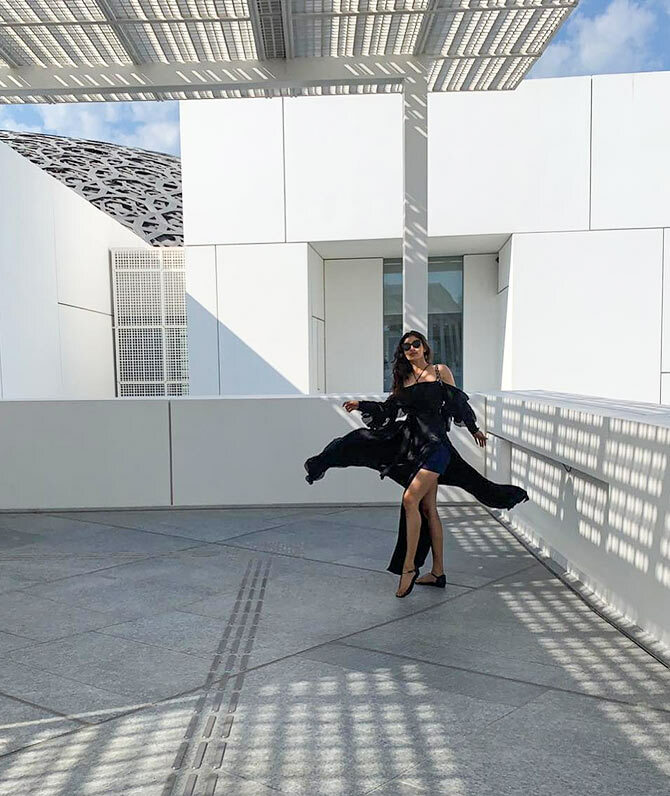 While the Bengali babe is back in the bay, she had a gala time exploring the ultramodern city and all its adventures. 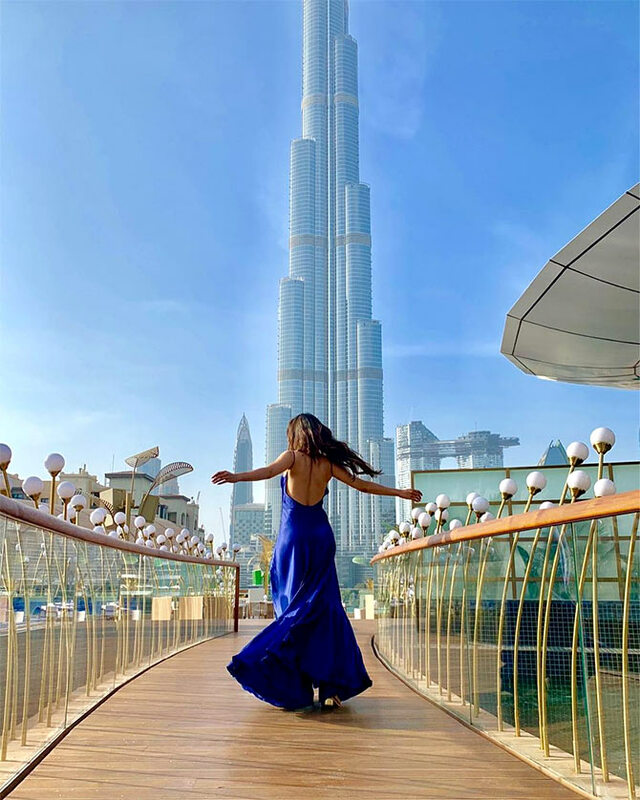 And that's how you twirl in front of the Burj Khalifa. Spending time with a 'beautiful stranger'. 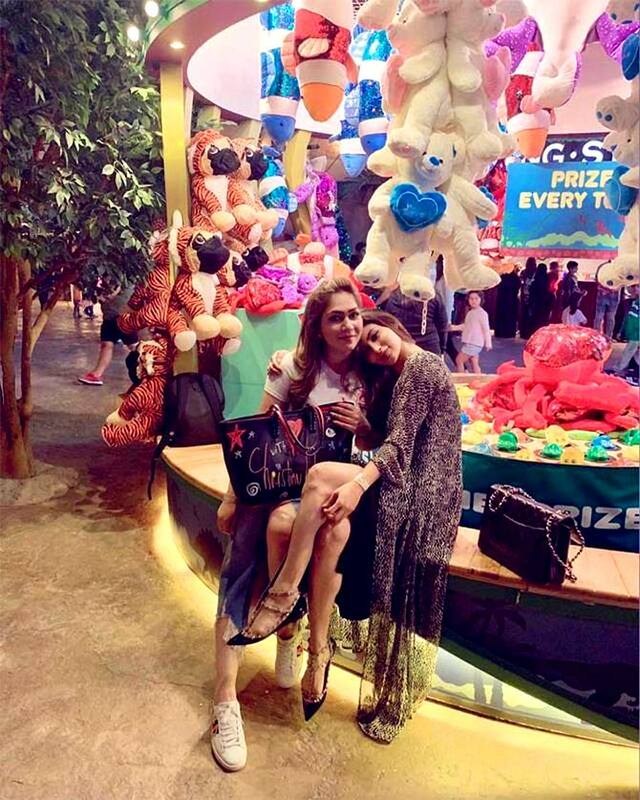 Mouni and her friend Vanessa Walia at the IMG Worlds of Adventure amusement park. And the posing session continues. Mouni goes shopping with her Brahmastra co-star Hussain Dalal. 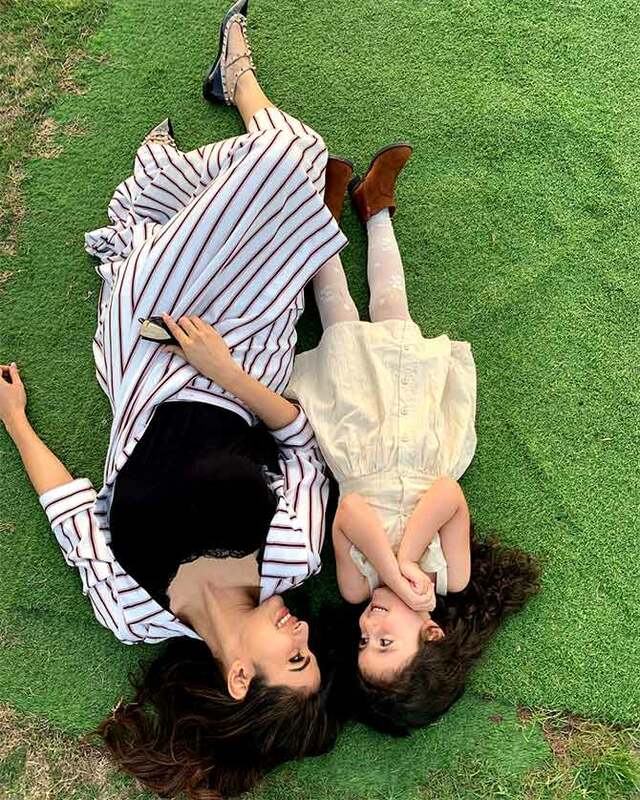 Sharing this picture, Mouni writes, 'It matters more than you think & it doesn't matter at all is what 2018 taught me. It doesn't matter if it's summer, winter or spring; big successes or failures; if you are happy & thankful. I hope we all learn to live a lil bit more, break our patterns, do excess of what we love to do & take care of our families, friends better in the new year'. 'Breathe, smile, dance in the moonlight & live the terrifyingly beautiful life..... Happy New Year'. This leggy lass sure knows how to raise the temperature, even in winter. Exploring the beautiful roadside cafes of Saadiyat island. Enjoying the sunset at La Mer beach. And that's how you stay cool! Mouni's fascination with black continues. 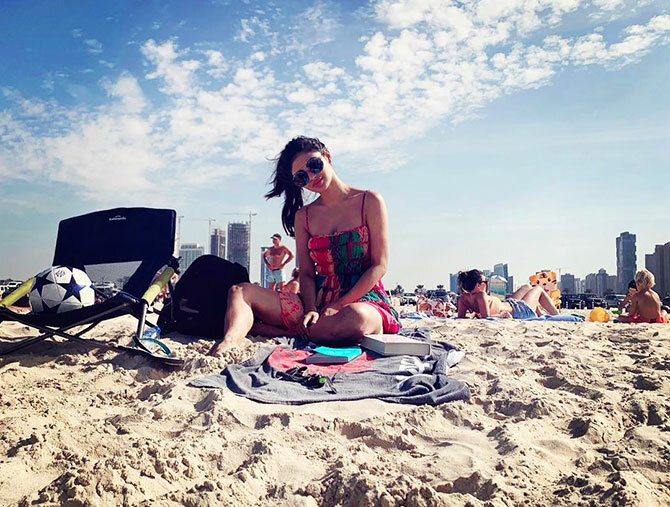 Mouni relaxes by the sea with a copy of Jordan B Peterson's 12 Rules For Life. Why did Nargis Fakhri disappear from Bollywood? Does Vivek Oberoi look like Modi? VOTE!